Gorgeous beaches in this small but in demand rural town. Muro is a small town in the North of Mallorca is a typical rural town that you will find in Mallorca. It serves as the administrative town for the famous beach resort Playa de Muro. This is quite common in Mallorca where the resort’s administrative functions are run by an inland town with a similar name. The town itself dates back to 1232 when it was conquered by the Christians and the word Muro means ‘wall’. Muro was traditionally known for its wealth because all the moneylenders were allowed to stay here and it was a token of gratitude for them funding the war. One of the attractions of Muro is the ‘Museo Etnologica de Muro’ which is an attractive old fashioned museum that features the rural life of Mallorca during different times in the history of Mallorca. You will also see some of the traditional pottery that is still made today. There are a lot of historical products to see including an old blacksmith’s workshop. There is also the old Catalan Gothic church that is over 400 years old and it is huge. It is almost the same size as a block. It was built at the time because of the expanding population. There is also a bull ring that you can visit which was built in 1910 from stone that came from the area and it is still being used today. 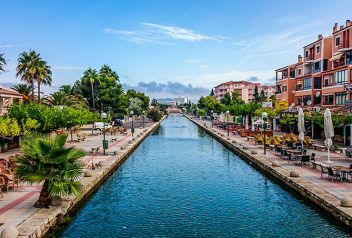 There is not much to do in Muro but it is a very interesting town to walk through where you can enjoy the Mallorcan sandstone architecture or if you feel like relaxing you can simply sip a quiet glass of wine at one of the street cafes. There are wine farms around Muro and one of the better ones to visit is the Bodega Budget. It is a hidden in the hills and it is not far from Muro and visiting the wine farm is a pleasant day out. Playa de Muro is in the municipal area of Muro and this beach resort is only a short drive from Muro. 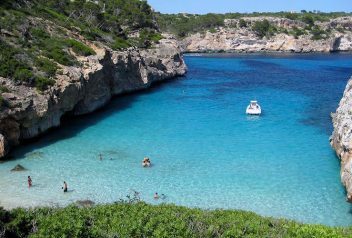 This is a very family friendly beach and a lot quieter than the Can Picafort. Playa de Muro is slowly gaining more popularity as a beach to visit. There are numerous activities that take place in Muro starting with the market every Sunday and a huge Christmas market in December. Easter also attracts a lot of celebrations. One of the main events is the festivities if San Juan which happens in June and ends on the 24th of June normally with an impressive fireworks display. In November is the autumn fair which celebrates the pumpkin especially the giant pumpkin. In the summer months, the Playa de Muro hosts a lot of festivities and it is only a short drive from Muro. There are ample restaurants to choose from that serve local Mallorcan food in Muro. In an around Muro you are bound to find a rural retreat that will serve traditional food but from high-quality fresh produce. 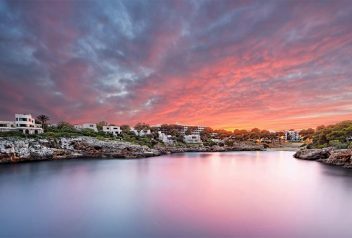 Hotels are generally found in all the resorts close to Muro but if you want to experience the true Mallorcan hospitality it is better to stay in the smaller boutique hotels tucked away on the island. 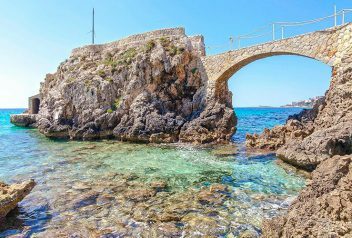 Visiting Muro you will get a very good idea of how the rural Mallorcans live and enjoy a slow relaxed few days on your holiday. 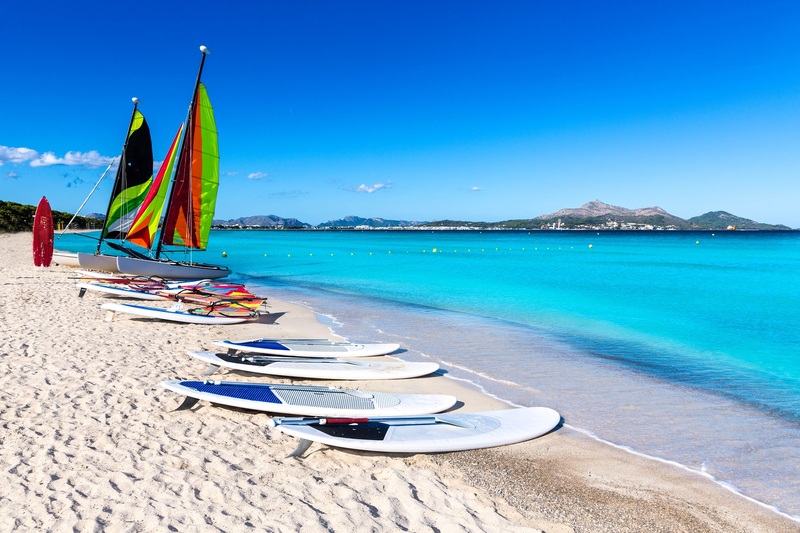 There are resorts close by where you can enjoy the lovely clear blue seas of Mallorca and all the activities that they offer such as scuba diving.